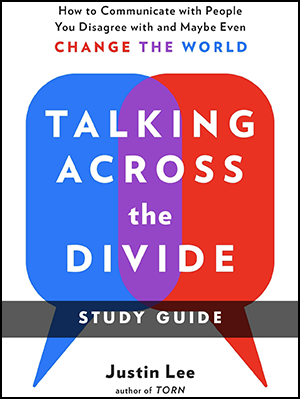 To get the most out of my new book Talking Across the Divide—in your own personal study or with a book study group—check out this free study guide! It’s designed to help you apply the concepts to your own life and/or inspire thoughtful discussion with your friends or study group. Click to download it as a PDF.